Where’s the smart money in UFC for 2016? While there were still a few catching their breath after an intense end to 2015, the UFC isn’t wasting any time in getting the New Year off to a thrilling start. Among the numerous exciting fights coming up will be the rematch between Fabricio Werdum and Cain Velasquez for the UFC’s heavyweight title in a rematch of one of a host of brilliant match-ups from last year. WHAT: The story of influential rap group N.W.A. – comprised of Eazy-E (Jason Mitchell), Dr. Dre (Corey Hawkins), Ice Cube (O’Shea Jackson Jr.), MC Ren (Aldis Hodge) and DJ Yella (Neil Brown Jr.) – as they rose from the streets of Compton to popularize the gangsta rap movement. WHY: There’s been a lot of discussion about “Straight Outta Compton” being snubbed for Best Picture in this year’s Oscar nominations, but it’s simply not special enough to warrant inclusion. (To be fair, neither is “Bridge of Spies,” though that’s an argument for another day.) While the film hits all the key beats in N.W.A.’s rise to stardom, it’s no different than a typical music biopic with all the highs and lows, even if it has a tendency to gloss over some of its members’ less flattering moments. Thankfully, the movie is so well-cast that it covers up many of the cracks in Jonathan Herman and Andrea Berloff’s screenplay. Jason Mitchell, Corey Hawkins and O’Shea Jackson Jr. deliver excellent performances as the key members of the group, while Paul Giamatti brings his particular brand of passive-aggressive villainy to the role of their manager. “Straight Outta Compton” is a solid biopic that music fans in particular will enjoy, but despite the timely subject matter, it’s too preoccupied with its clichéd story to make a lasting impression. 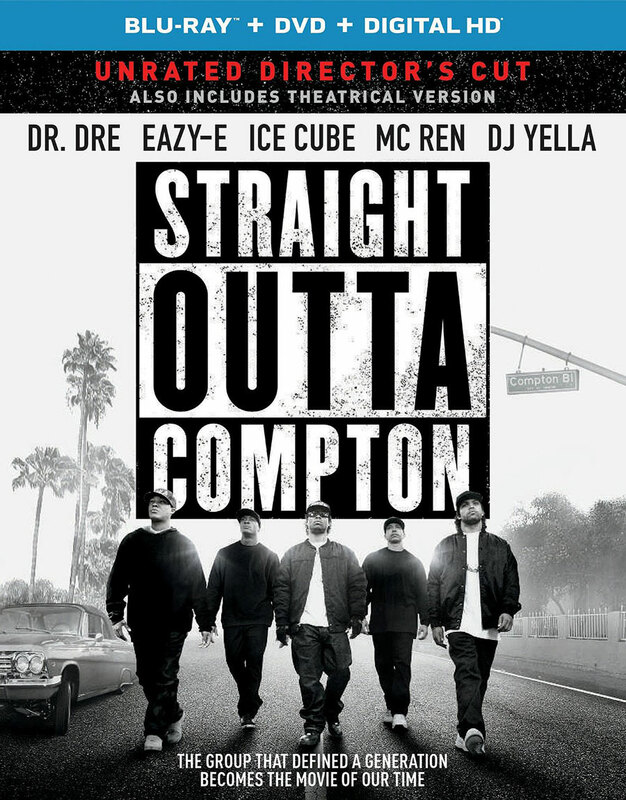 EXTRAS: The Blu-ray release includes an audio commentary by director F. Gary Gray, a collection of featurettes on the history of N.W.A., casting the group members and filming key sequences in the movie, some deleted scenes and a deleted musical performance. 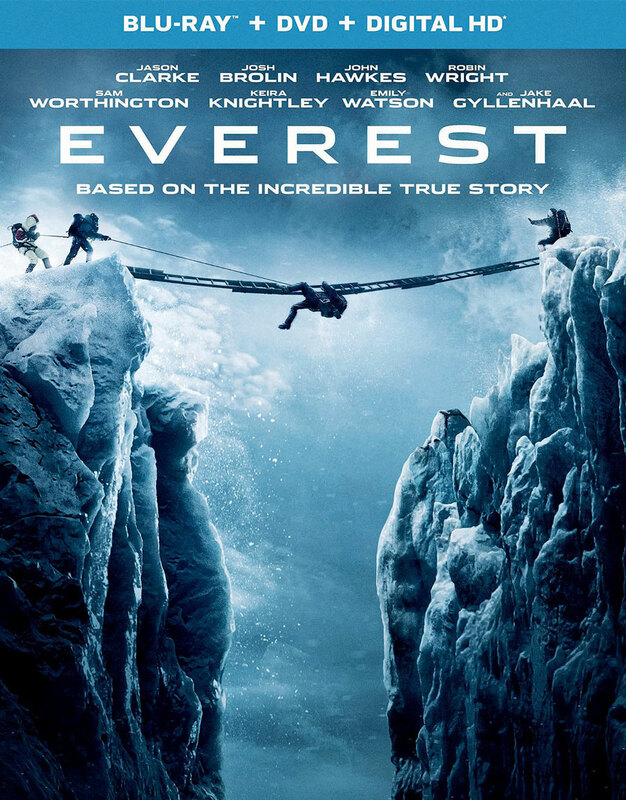 WHAT: Based on the incredible true story of the 1996 Mount Everest disaster, a climbing expedition to reach the summit of the world’s highest mountain is devastated by a ferocious snow storm. WHY: I’ve never been very fond of movies about people doing stupid things, and climbing Mt. Everest is right up there, especially when the odds are so stacked in Mother Nature’s favor. Still, you have to admire anyone crazy enough to try it once, let alone make a career out of it, and that adventurer mentality shines through in Baltasar Kormákur’s film. But while the movie features an outstanding ensemble cast and impressive visual effects that make it look like the whole thing was shot on the mountain, “Everest” is all spectacle and very little substance. Though it’s not exactly a disaster film in the traditional sense, Kormákur focuses more on delivering thrills than developing the characters; there are so many different personalities vying for screen time that Jason Clarke’s Rob Hall is the only one who has anything resembling a proper arc. Had “Everest” focused more on his story, it likely would have fared better, but as it stands, the two-hour runtime isn’t nearly long enough to give every character the attention they deserve. EXTRAS: There’s an audio commentary by director Baltasar Kormákur, as well as featurettes on making the film, recreating Mount Everest, climbing/altitude training with the actors and more.